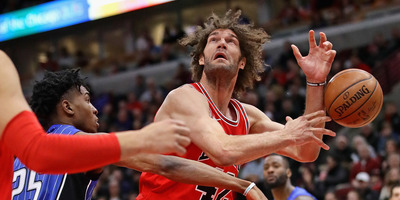 Jonathan Daniel/Getty ImagesRobin Lopez won’t be a healthy scratch for the Bulls as they finish out the season. NBA teams are tanking at an impressive rate as the 2017-18 season comes to a close, and the league is not happy about it. 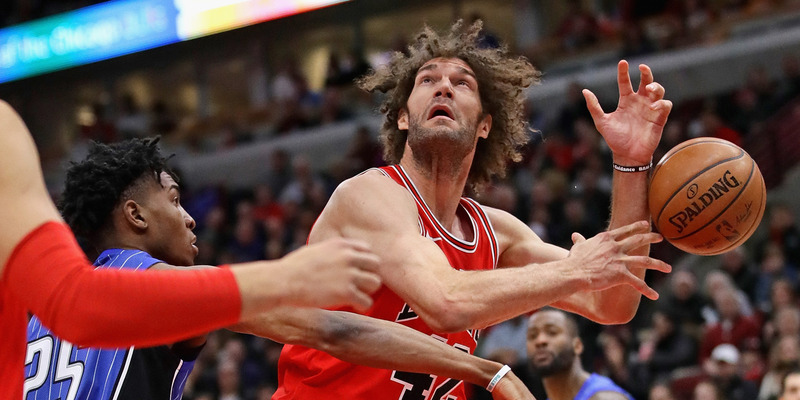 The league reportedly reached out to the Chicago Bulls for sitting starters Robin Lopez and Justin Holiday despite their healthy status. With no shot at the postseason and a tight race determining which teams will have the best shot at the first overall pick in the 2018 NBA Draft, some teams are looking to win the race to the bottom. While some NBA teams battle for playoff seeding, others are jockeying for position at the bottom of the standings. The 2018 tanking campaign has the potential to be the most dramatic in league history, with nine teams within just a few wins of each other. With valuable lottery balls and a shot at a potentially franchise-changing first overall draft pick at stake, some teams do what they can to lose in the short-term in the interest of future success. But even with tanking now an open secret across the league, NBA officials would prefer teams not be so blatant about it. According to Shams Charania of Yahoo Sports, the Chicago Bulls received a warning from the league about resting healthy starters, namely Robin Lopez and Justin Holiday. The report was later confirmed by ESPN, who received comment from the Bulls. In as politically correct terms as possible, Paxson essentially says the Bulls got called out for tanking. Lopez was averaging 25.5 minutes per game for the Bulls before the All-Star break, but has not taken the court for the team since. The Bulls currently hold the 8th-worst winning percentage in the league, giving them only a 2.8% shot at the first overall pic. If they can lose just two games below the current field, they could fall to 3rd-worst in the league and a 15% chance at picking first. With the NBA taking proactive action to warn the Bulls to play their best players, chances are teams will have to stay creative if they’re looking to ride a losing streak all the way to a top pick in the 2018 NBA Draft.